Nathan DiNiro, Chief Technology Officer | Nathan has many years of experience producing media and entertainment material for stage and screen. His experience includes planning and producing numerous live streamed events, ranging from single camera event recordings, to multiple camera, multiple site live events with extremely complex production requirements. 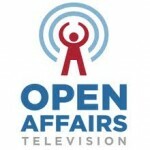 Nathan has produced live media for conference events including Open Source Bridge, Wordcamp Portland, Webvisions, Collaborative Health Consortium at HiMSS 2012, and GOSCON. Gregg Masters, MPH, Chief Executive Officer | Recognized by his peers as a thought leader in healthcare social media via @2healthguru, and included in the Top 100 Voices in Health Information Technology by Health Data Management, Masters mentor’s clients in both the strategic and tactical applications of interactive digital media. He specializes in the visioning, design and development of a master managed web presence and community engagement strategy, deploying a portfolio of tools and/or platforms suitable to budgets from ‘lean’ to turnkey private label branding. 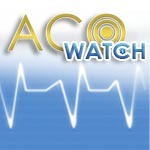 Masters’ publishes ACOwatch.com & JustOncology.com, and hosts several Internet radio programs including ‘This Week in Oncology’ and ‘This Week in Accountable Care’ all ‘go to’ resources for trends, developments and insights into the healthcare transformation theater. Recently tapped by CMS Center for Medicare and Medicaid Innovation to review grant applications for the ‘Healthcare Innovation Challenge‘ program, and a frequent new media journalist at major healthcare conferences from the Digital Health Summit at CES to the likes of HiMSS, Health 2.0, Healthcare Unbound, and the HDI Forum, Masters strong domain strong experience and ‘social media street smarts’ credibly engages a wide spectrum of voices in the healthcare innovation conversation. Patricia Salber, MD, MBA, Chief Medical Officer | Pat is the founder and host of The Doctor Weighs In, a widely read healthcare blog. She is also a serial entrepreneur who has founded both for-profit and non-profit companies. She is currently CEO of Health Tech Hatch (HTH), resource for healthcare innovators developing solutions for patients, caregivers and clinicians. HTH’s suite of tools and services includes a crowdfunding and concept testing platform as well as mentorship and consultation. Pat trained at UCSF (medical school, internal medicine residency, endocrine and health policy fellowships), and practiced emergency medicine at Kaiser Permanente before moving into administration. As a physician executive she worked in many different aspects of health care (including Physician Director National Account at Kaiser Permanente, Medical Director of KP-General Motors team, Board of Leapfrog, CMO of a Medicare Advantage Plan, Senior Medical Director for commercial insurer). Alex B. Fair, Chief Marketing Officer | Alex is the Co-Founder, @MedStartr; Organizer of 2,000-member Health 2.0 NYC and Founder of FairCareMD.com, and CTO Convergent Technologies. Launched in 2012, MedStartr.com is the first healthcare focused crowdfunding platform. Described by the Wall Street Journal as “a forum to pitch technologies, and talk about what they need to bring them to fruition,” Medstartr connects healthcare innovations with the people who care about them most, doctors and patients, as well as strategic partners to provide matching funds.